There is no match to the things that the modding community on PC can carry out with some fairly old games. It doesn’t matter if the game is an year or so old, if modders put their magic into it, it starts shinning like a newly polished product. The latest example is Rockstar’s open-world action-adventure video game, which has been completely redone by some very talented PC modders. The game is more than half a decade old, but the recently released 3.0 version of iCEnhancer mod makes it look like it was just released yesterday. No matter how much people berate the gaming scene on PC platform, one thing is for sure, you can’t question the talent of modding community on PC. For proof, just check out the iCEnhancer mod for GTA 4 running on the world’s most powerful platform. It has been updated once again to the latest 3.0 version and it continues to make a six-year-old game look better than some recently released major video game titles. With the release of version 3.0, iCEnhancer mod further improves the visuals and graphical aspects of GTA 4, taking the graphical fidelity and in-game effects of the game to a whole new level. The mod introduces a variety of new features for GTA V and also packs some tweaks for the preexisting ones to improve the over all visuals of the game. 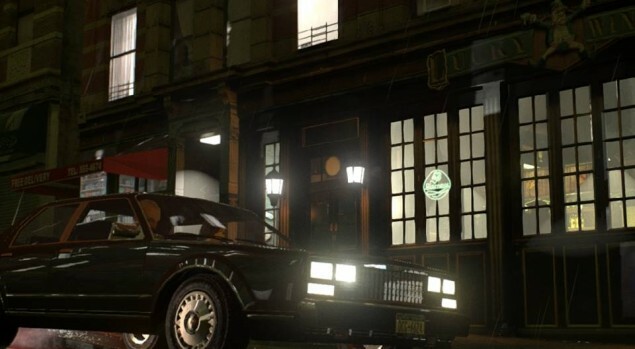 Ultimately, it makes GTA 4 look like something that could be released this year. Check out the full changelog for iCEnhancer 3.0 here. The 3.0 version of iCEnhancer mod is such a success that the mod’s official website has crashed due to the flood of fans that need to enhance their GTA 4 right away. If you have any doubt, or if you want to see how the mod compares to the normal retail version of the game, what is the better way to demonstrate how GTA 4 looks like with the iCEnhancer 3.0 mod than to compare an enhanced trailer with the stock trailer of the game? Without further ado, here is the original stock GTA 4 trailer called “Things will be Different,” as it looked like when it was released in 2007. The man behind iCEhancer is Hayssam Keilany, who has made something which makes GTA 4 look even better than its successor on the last-gen console. Just to clear it out, this mod can also be configured to accommodate lower-powered PCs. You can download iCEnhancer mod version 3.0 here, and if the site is still down due to overflow of traffic, check out the mod’s Facebook page for mirrors.